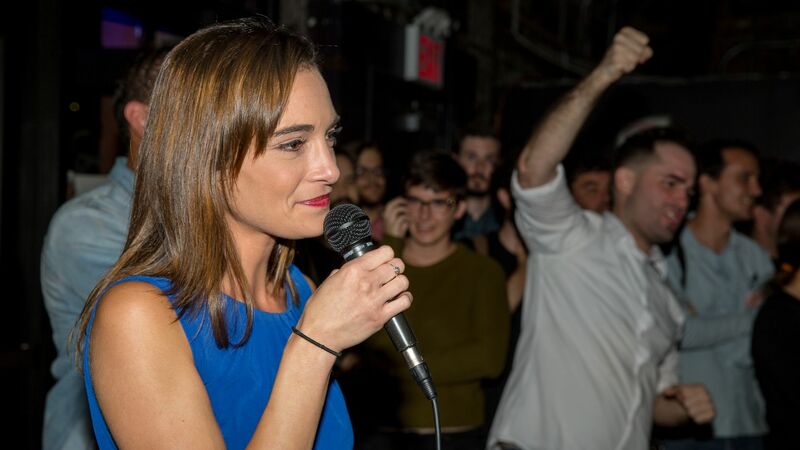 Brooklyn voters have picked Julia Salazar for the New York state Senate making her the latest Democratic socialist to oust an incumbent. Why it matters: Salazar’s victory is stunning considering she was plagued by negative news and attacks from the right about everything from her past relationships to her progressive politics. But her win shows this group's growing movement in 2018. By the numbers: The Democratic Socialists of America (DSA) has grown from 7,000 members to 50,000 since President Trump was elected. At least 46 Democratic socialist candidates and two DSA-backed ballot measures have won their primaries in 2018, according to a list compiled by the DSA. Four of their candidates are running for U.S. House; the rest are running for state-level office, like state House, state Senate, and city council. Four women in Pennsylvania, all backed by the Philly chapter of DSA, won their primaries for state House: Summer Lee and Sara Innamorato both unseated longtime Democratic incumbents, and Elizabeth Fiedler and Kristin Seale won their races. Ocasio-Cortez, the Democratic socialist darling of 2018, has endorsed at least five candidates outside of DSA who have won their primaries, including Ayanna Pressley in Massachusetts, Ben Jealous in Maryland, Stacey Abrams in Georgia, Andrew Gillum in Florida and Ilhan Omar in Minnesota. The bottom line: The Democratic socialist movement is growing at every level of government. Correction: This post has been updated to reflect that DSA's 48 victories included two ballot measures, and that their membership is 50,000, not 37,000.